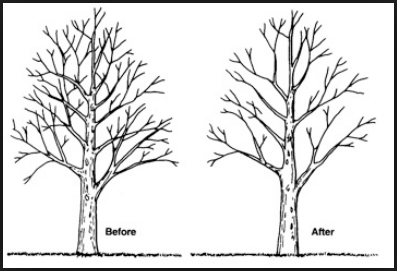 Tree trimming in an urban landscape, if done correctly, can improve the tree vitality, appearance, and preserve structural integrity. Improper trimming results in poor tree vitality, unsightly appearance, and hazardous structural integrity. 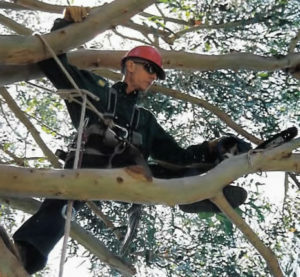 Reasons for tree trimming are to remove dead branches, to remove crowded or crossing limbs that may create future structural problems, to eliminate hazards, and to slow growth rate by removing foliage. Trees can also be trimmed to reduce wind resistance or to increase light penetration. The best time to trim depends on the desired results. To maximize growth, trim just before the period of rapid growth in early spring. To minimize growth, trim after the growth flush is complete for the season. Flowering can be reduced or enhanced by pruning at the correct time for certain species. Fruit trees can be trimmed before or after bloom to enhance or limit fruit production.